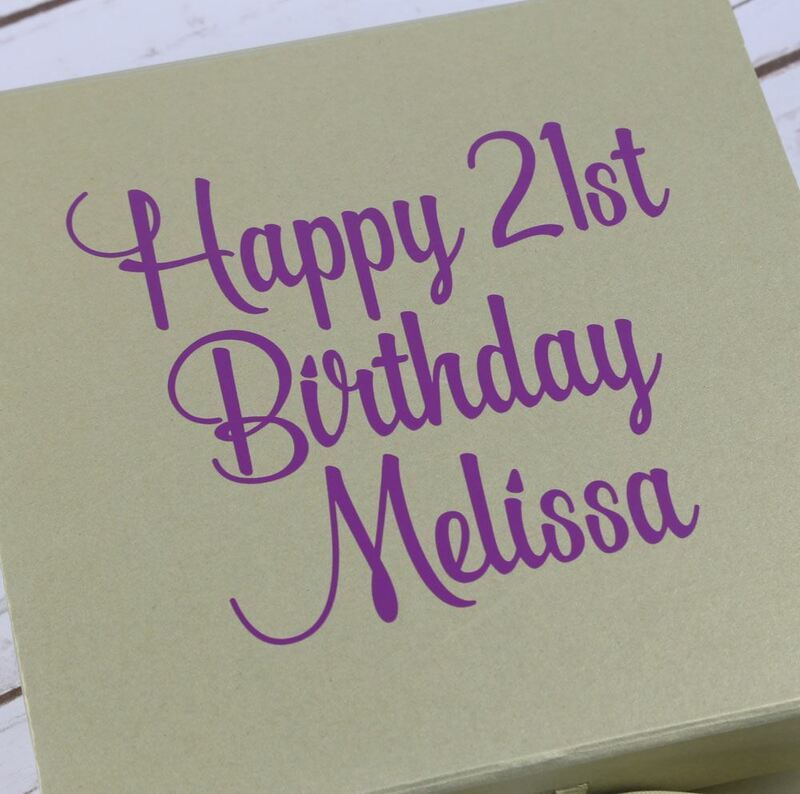 If you want to add that extra special touch to your birthday gift then give it to them in our gorgeous personalised birthday gift box. 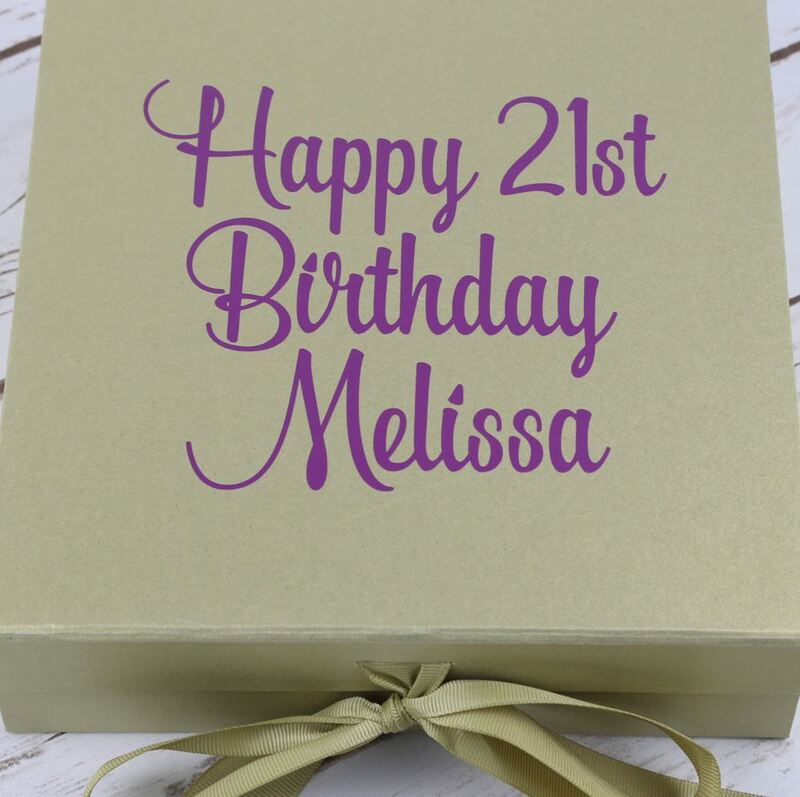 If you are looking for a box to fill with gifts for a special someone's birthday then our personalised birthday gift box is perfect. 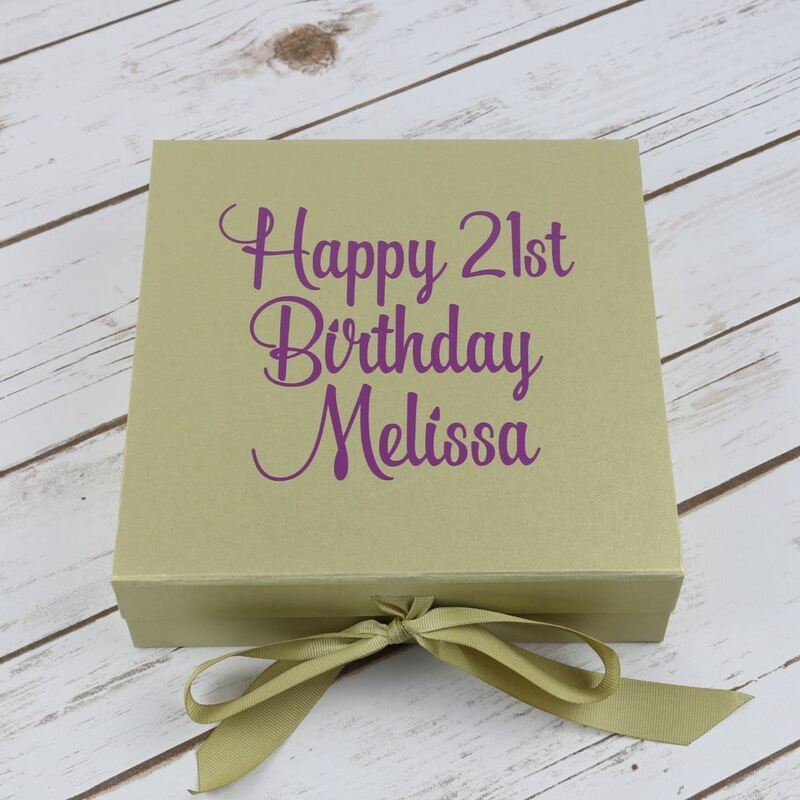 The box is the perfect size for filling with small gifts including chocolates, dvds, cds, small items of clothing, books, sweets and anything else you can think of. 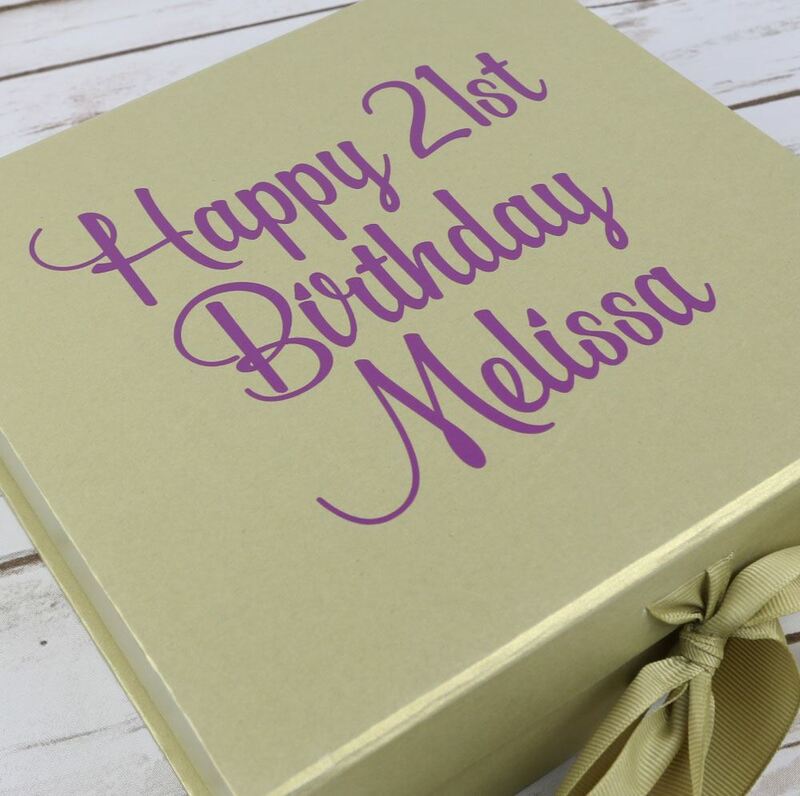 These are high quality board boxes and this one comes in gold with purple vinyl wording. 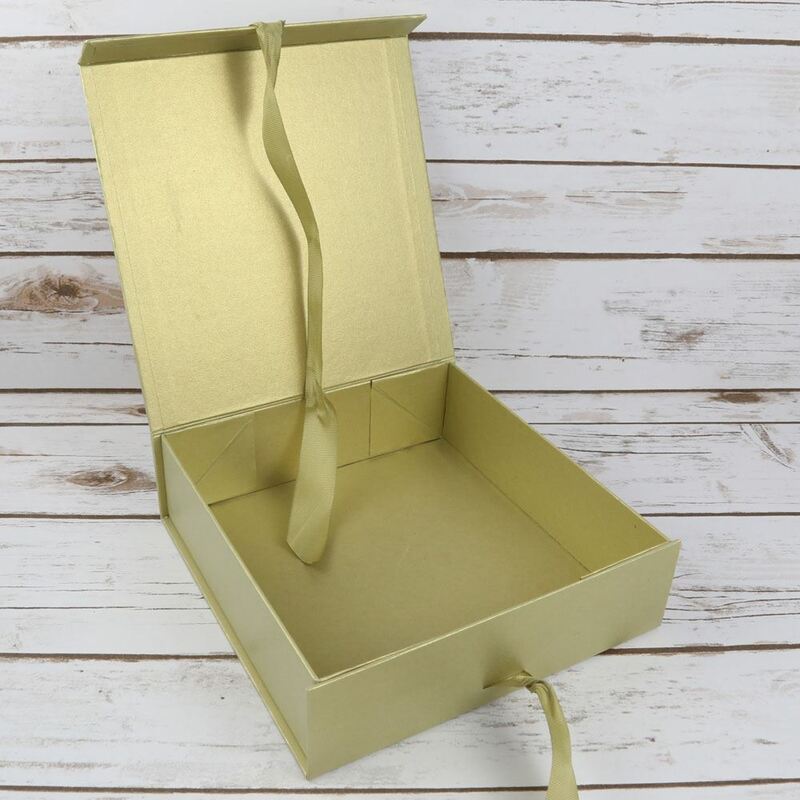 The box comes with a magnetic snap shut lid and is finished with a matching gold bow. Other colours are available on request, you can choose from the drop down list.